Meet Italdesign’s new Audi R8 V10 Plus rival with a body made entirely from carbon fiber. After teasing us relentlessly, legendary design house Italdesign has finally revealed the first images and details of its mystery Geneva-bound production supercar, which will be sold under its new Italdesign Automobili Speciali brand focusing on limited production cars. Intended for “collectors and visionary enthusiasts,” only five examples of the company’s first ultra-limited series car will be built by the end of this year, with bodywork made entirely from carbon fiber. It still doesn't have a name, though. The all-carbon fiber body is attached to a modular chassis made from aluminum and, you guessed it, more carbon fiber to make it extremely lightweight. Italdesign's savage supercar will be powered by a naturally aspirated 5.2-liter V10 engine most likely lifted from the Audi R8 V10 Plus and Lamborghini Huracan, since Italdesign is owned by Volkswagen. Power output hasn’t been revealed yet, but it’s likely to match the 610 horsepower of the R8 and Huracan. 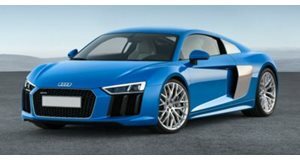 What we do know, however, is that it will sprint from 0-62 mph in 3.2 and reach a top speed in excess of 205 mph – much like the Audi R8 V10 Plus, coincidentally. Italdesign promises its new supercar will have “racing car performance with type approval” to make it road-legal. Its unconventional design is unquestionably the work of the same company that gave us the BMW M1. Along with its carbon-fiber body, defining the aggressive exterior is a prominent front splitter, side-mounted fins, and a rear dominated by a racing-style rear spoiler and a large diffuser to make it as light and aerodynamic as possible. “The exterior is characterised by the two sides of the same medal,” said Filippo Perini, Head of InnovationDesign.“Above the tornado line, outlines are distinctly softer and smoother in keeping with the Italian Gran Turismo tradition." The lower part is modelled from aerodynamics. To achieve the performances we had in mind, we had to dare beyond all limits from styling and even purely technical points of view. The outcome ensures extremely high impact without ever being design for design’s sake”. Italdesign’s road-legal supercar will premiere at the Geneva Motor Show next month, before starting its limited production run towards the end of the year. You’ll have to be privileged to own one – not only is it limited to five models, it’s also wallet-crushingly expensive at $1.6 million. 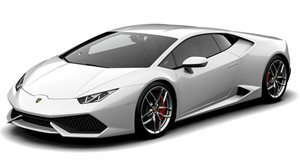 And that’s just the starting price, since customers will be able to extensively customize the limited supercar with additional performance packages.